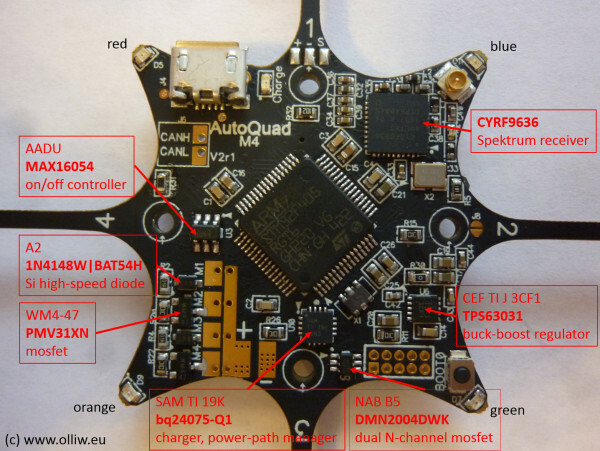 The AutoQuad M4 autonomous flight controller is a wonderful little piece of electronics. Much information on it is found in the AutoQuad Documentation. However, it is closed source and the electronic scheme not available, but in daily life one often needs information only accessible with a basic knowledge on the components and electric scheme. I hence started to get more insight, and share my findings here. The info provided here refers to the M4 v2 (rev6). The page will start slowly, but more info will be added and it will hence grow with time. 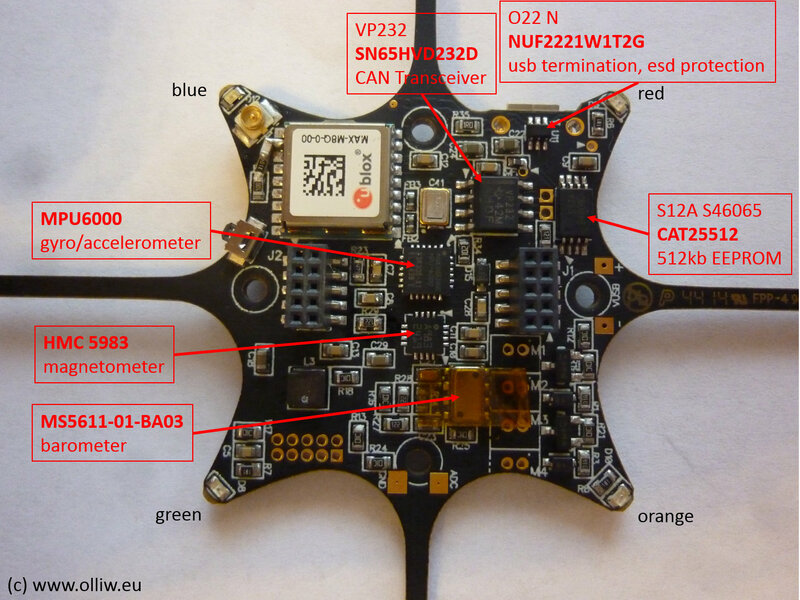 The pins on the F405 are used as follows.